Finding and teaching nonfiction passages from history, science, and other sources can be a challenge — even for seasoned teachers — but the annotated passages in Reading Informational Texts help both teachers and students by revealing rhetorical techniques, explaining historical context, and clarifying logical arguments. 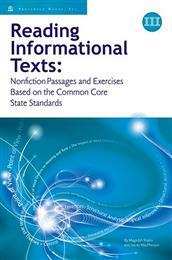 Each book adds challenging nonfiction passages to your curriculum and contains several nonfiction selections drawn from multiple subject areas, including law, history, science, and politics chosen to align with the rigorous guidelines of the Common Core for reading informational texts. 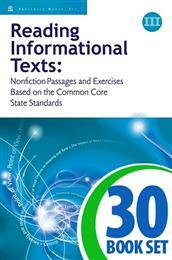 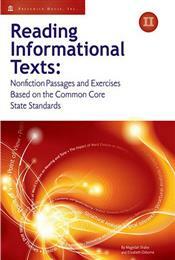 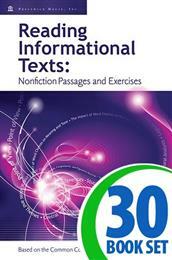 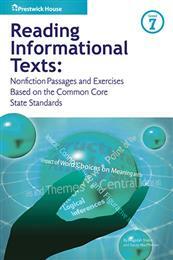 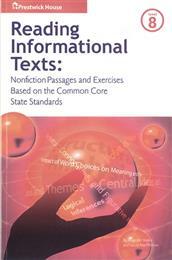 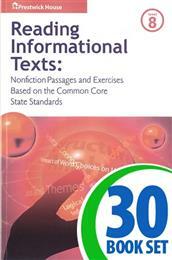 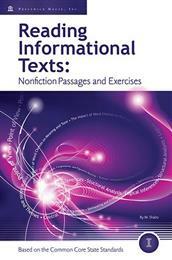 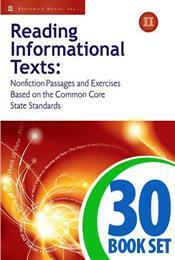 Every text includes a detailed justification of the passages selection, with notes on quantitative and qualitative measures of text difficulty, detailed annotations to clarify text meaning, and short answer questions tied to each requirement of the Common Core for reading informational texts.